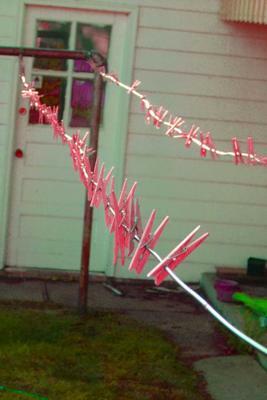 The clothes pins sat on the line like a bird on a wire. They hang in space like love hangs in the clouds. Like the clothes the pins once held, I had a love that you once felt. Wind blows, sun shines the days of us will be gone in time. take on an interesting image. Thank you for sharing.